A different beach, a long strip of dunes that closes Santander bay leaving only a narrow channel for large cargo ships to reach the harbour passing just a few meters from this quiet beach. 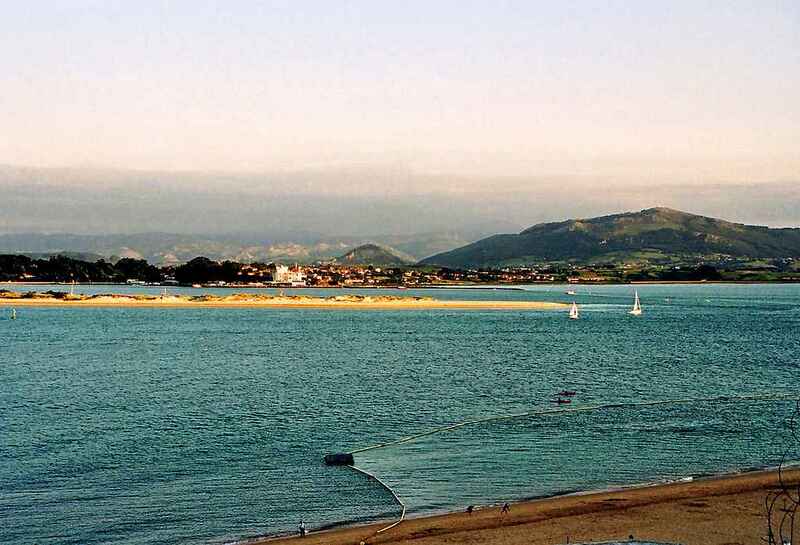 Open to the Cantabrian sea and the bay, El Puntal offer two shores. The distance from Santander is no more than 500 m, and in the summer there are boats that take you there. By car, you have to go around the bay, and that means 25 km. From the city centre, take S-10 road and then the motorway A-8 towards Bilbao. After crossing Astillero, take the exit to the road that goes along the bay to Pedreña golf course and then to Somo. Try to park there, but it will be difficult. You also can, of course, use the bus that connects Somo and Santander. Together with Somo beach, El Puntal is more than 4 km long, one of the longest beaches in Cantabria. On one side, the Cantabrian sea and its strong waves (perfect for surfing). On the other, the calm water of the Santander bay. 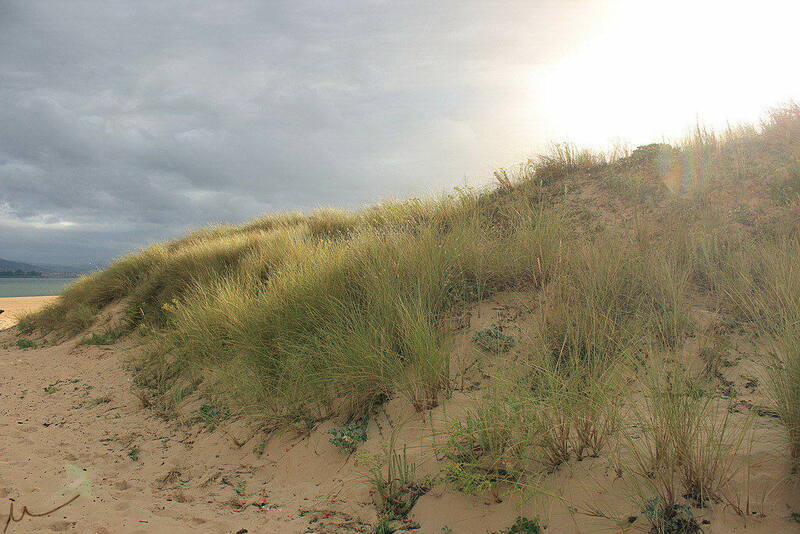 Between them, a line of dunes covered with vegetation. This is a protected area you should only cross using the designated paths. Not very different from the Liendres Dunes beach, but the human impact is more evident here. Although there are other beaches closer to the city (some of them in the city centre), Somo is quite popular and can be crowded in the summer. In El Puntal, most people stay there, with only a few walkers that continue to the tip of the beach. There are plenty of bars and restaurants, but nothing in the strip of sand in the bay. Only lifeguards can be found in that section. The tip of the beach, far from any building, is virtually deserted. It seems to be suitable for nudists, but it is rare to find naked people swimming or suntaning. Only in the dunes, where bushes hide them from the textile walkers. I'm not sure if this is very convenient to preserve the dune ecosystem.